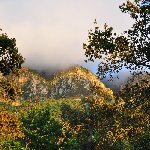 Cape Town is an amazing city and once we arrived there my husband and I started thinking about the tours we wanted to go on and the sites we wanted to see. Table Mountain is known to be the landmark of Capetown as it dominates the cities beachview at Bloubergstrand but we could not wait to get to view the panorama from up above! 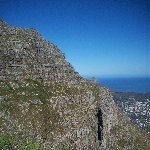 We went on an amazing Table Mountain National Park trekking and were so lucky with the great weather and the fantastic group we hiked in. It was quite a climb but what a gorgeous landscape.. The enormous plateau of Table Mountain surrounded by imposing cliffs and the city and bay of Cape Town as you look down from the top of the mountain, wow. 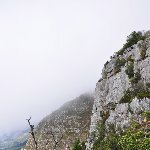 I would definately recommend this hike to anyone coming to South Africa as there are a lot of interesting trails to climb this national landmark and honestly I think Cape Town deserves a birds eye view. Did you enjoy Cape Town Tours South Africa and have you been on a holiday in Cape Town, South Africa?